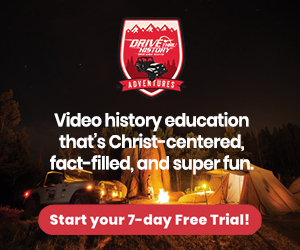 If you are looking for an action-packed online Homeschool Video Curriculum for American History, Bible History, or Ancient History, you are going to want to check out my review of Drive Thru History Adventures Video Curriculum! Plus, don't miss out on a secret discount code I'll share with you at the end of this post. 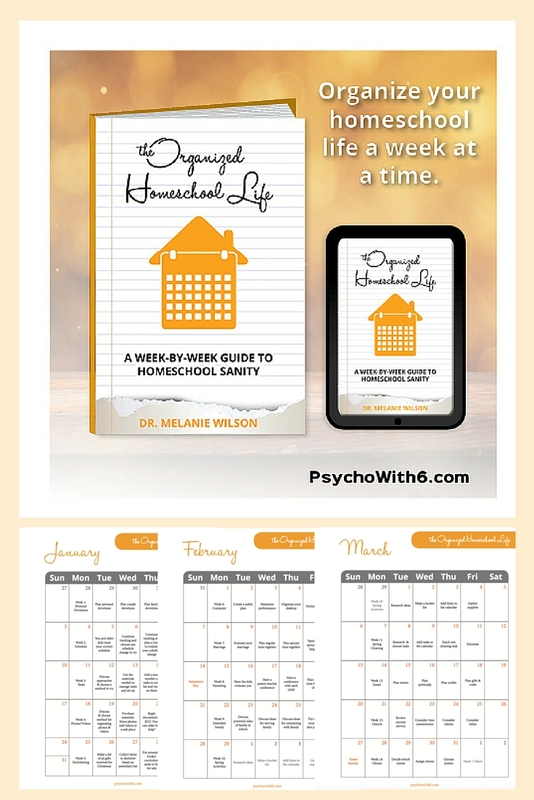 Drive Thru History's reputation in the homeschool community far exceeded our expectations! It's a stellar online video program chock full of professionally done and awe-filled videos, provoking questions, along with clever quips and humor at just the right moments! I was SUPER excited to get a chance to use this and wanted to share with you the details on this fantastic journey exploring our history. I always enjoy a little background behind the making of any product so here's some info. Dave Stotts, the founder of the online video series, traveled the world the last 15 years wanting to share the "unvarnished truth of history, on location, in the context of adventure". He calls it “Adventure Learning”. He wanted our kids to get fired up about learning the TRUTH to help us reach our potential Christ-like character. So, this is how to Drive Thru History Adventures began. Now it's time to walk you through the process. Believe me, it's educational, easy to navigate, and entertaining! The problem is that words cannot describe what you will see -- you'll find breathtaking scenes and discover historical places you've only imagined. How cool is that?!!! If you've ever wanted to explore the Holy Land, you must try the Bible History online course. We started with this adventure. Adults and kids will enjoy the spectacular imagery of where our beloved Savior lived and walked here on earth. Whether you're looking for a full or supplemental course on American or Ancient History, this is a wonderful way to inspire your students to want to learn their history. Bible History (18 weeks on the Gospels) - This 18-week trip journeys through Israel, exploring the life of Jesus as covered in the Gospels. American History (12 weeks on early American history) - A 12-week trip walks us through early American history, from Columbus to the Constitution. Ancient History (12 weeks on early Greece, Rome, and Asia Minor) - This 12-week trip goes through the empires of Greece, Rome, and Asia Minor. The course curriculum is most appropriate for ages 12 and above. However, younger family members (ages 5 to 11) would love the videos as well. 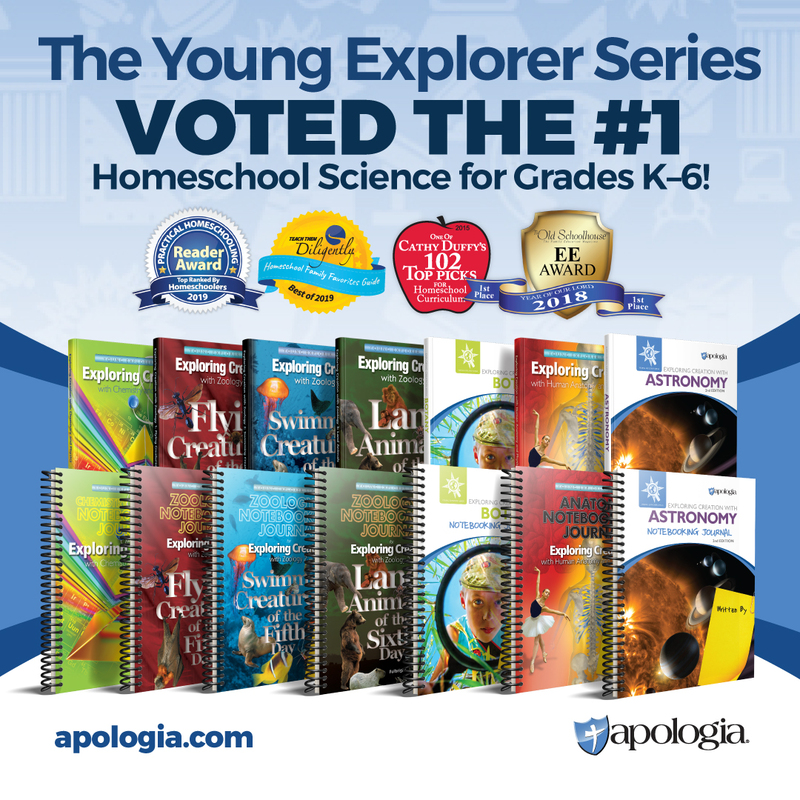 My 11-year old son watched Bible History and asked to keep watching the videos after each episode. Dave is a funny guy and my son loves to laugh! For older students (high school), it's full of source documents, expert papers, and short articles. So, this is appropriate for ages upper-elementary and above. Let's just say you have purchased one or all of these adventures. Here is how it works. It's easy peasy. Go to Curriculum and select one of three choices. Click on "Start Adventure", and you've just landed in a spot where you'll want to park for a little while. Bookmark it for your kids so they can find it easily next time. 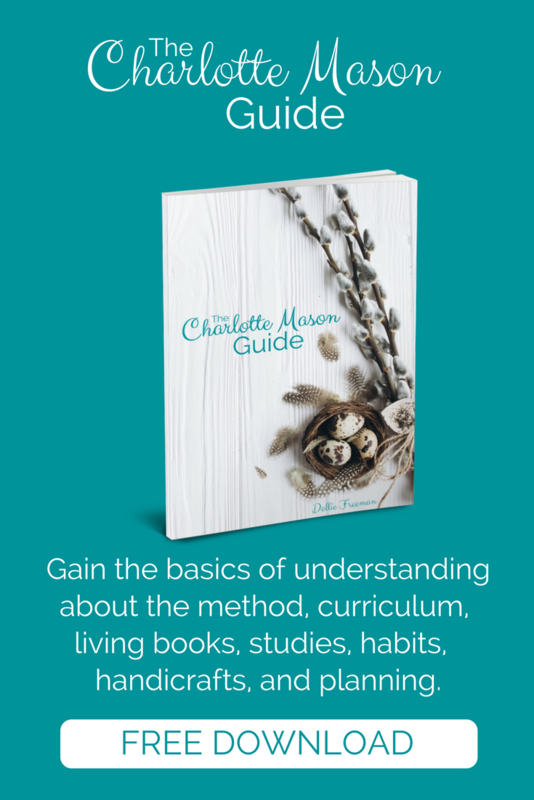 You can go straight to the video or scroll down further to find a summary of the video, interactive scripture reading, followed by worksheets and discussion questions. There you have it, everything you need to teach Bible, American or Ancient History! This is our favorite part of the subscription -- Adventures TV! You can watch any videos, anywhere, anytime. Here's how -- download the app Adventures TV on your smartphone or watch it directly from your browser on your laptop/computer. You can also access it via iPad with just a few extra steps by opening your email on the appropriate device to activate your account. Again, easy peasy! Here is the cost of the Annual Subscription. You can buy it for a year at $124.99 or in monthly payments of $12.99. Don't forget to scroll down to find out how you can get a bonus or discount on your purchase! Annual access to Drive Thru History Adventures. My kids thoroughly enjoyed this series and we plan on using it for the rest of the year, plus next school year as well! It's fun, fact-filled, and funny! By the way, we watch it together as a family and you should too! We want to take advantage of all it has to offer. It's for all ages and a chance of a lifetime to see firsthand where Jesus walked. Now here's the best part so don't miss this opportunity!!! Drive Thru History Adventures has some specials available and here are the details on how to find them. Right now they are offering a set of The Gospels DVD to those who join with an annual subscription! This review is for the one-year subscription and I highly recommend it. 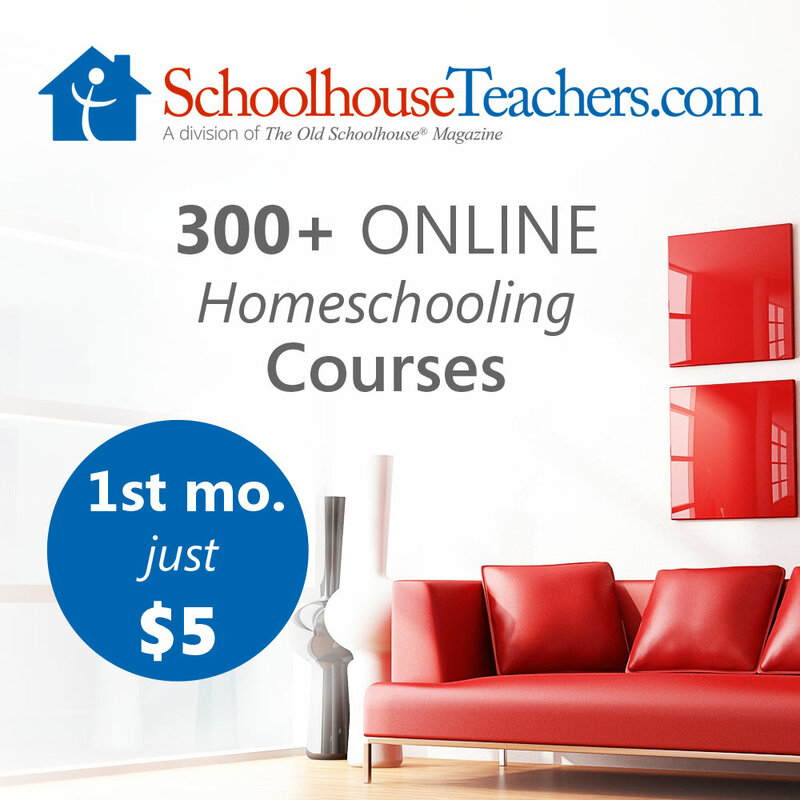 Plus, there's an advertised special in the Winter Edition of The Old Schoolhouse® Magazine. You can find a special code that will give you a 20% of an annual subscription! Go to page 19 using the link below. Click HERE to access the latest digital issue (go to page 19). One last time -- find out more by going here to Drive Thru History Adventures!